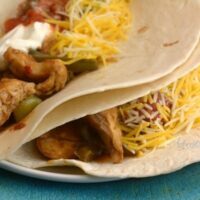 Chicken Fajitas is one of my go-to weeknight meals. My new Instant Pot Sous Vide has been amazing. Everything I have tried has turned out amazing. My Sous Vide Starbucks Copycat Egg Bites were so amazing. I can’t wait to bring everyone more Sous Vide recipes. The Flavor from the chicken Fajitas cooking right in there own juice is completely unmatched. The chicken is perfectly tender and bursting with flavor. Directions: In each zip lock bag place 3-4 thinly sliced chicken pieces. In a separate bowl mix together fajita seasons and water. Place peppers and onions in each bag. Pour half the seasonings mixture into each bag. Place you Sous Vide on 146 degrees. Seal the bag with the chicken and seasons. 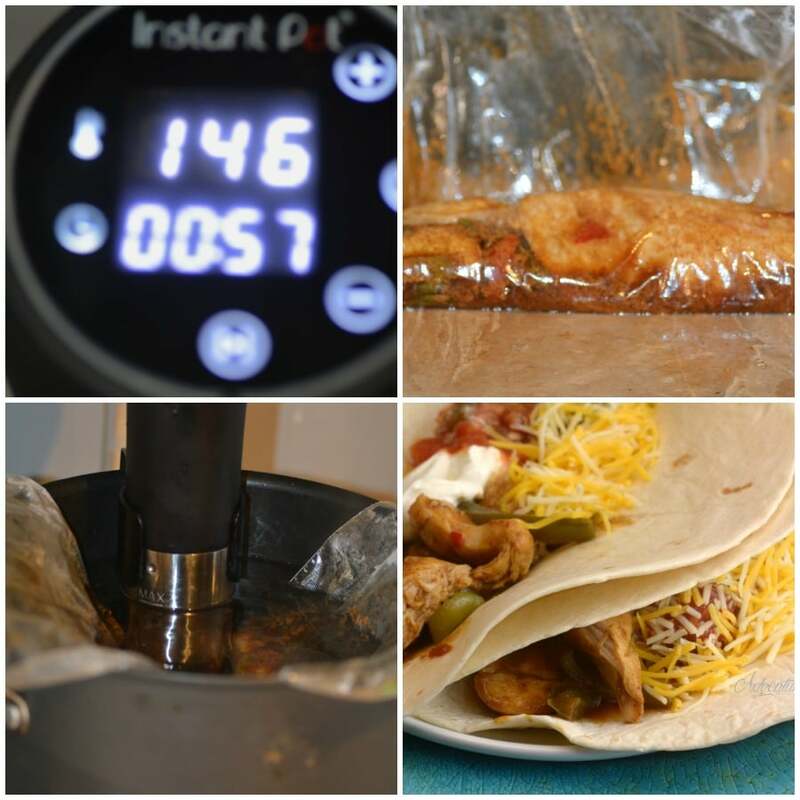 Place each bag in your container with the Sous Vide. Cook for 1 hour. Remove bag In a cast iron skillet place entire contents of both bags. Just to brown chicken about 1-2 minutes on each side. 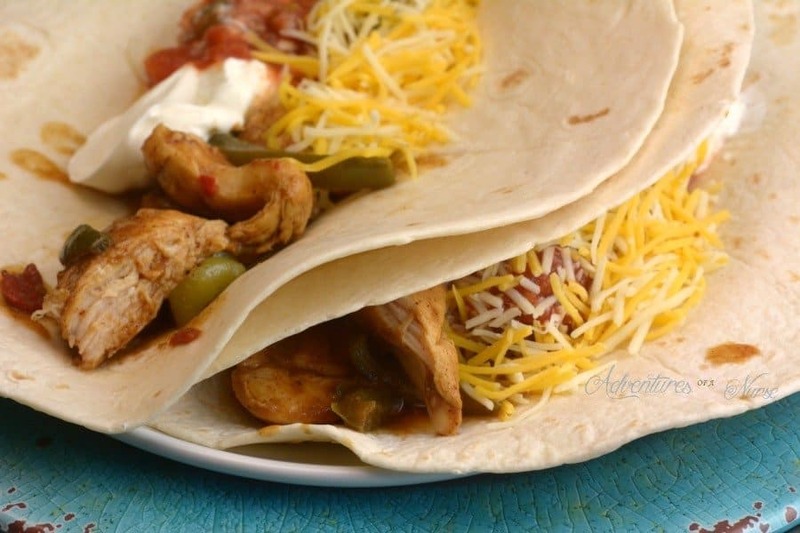 Serve with Tortilla shells. and toppings. In each zip lock bag place 3-4 thinly sliced chicken pieces. In a separate bowl mix together fajita seasons and water. Place peppers and onions in each bag. Pour half the seasonings mixture into each bag. Place you Sous Vide on 146 degrees. Seal the bag with the chicken and seasons. Place each bag in your container with the Sous Vide. Remove bag In a cast iron skillet place entire contents of both bags. Just to brown chicken about 1-2 minutes on each side. Serve with Tortilla shells. and toppings.